When it comes to coolness the Mac’s only counterpart is the Vaio and at the CES Sony has unveiled the Vaio VGX-TP1 Media center PC. The roundish PC is powered by an Intel T5600 Core 2 Duo processor at 1.83 Ghz running on Intel 845 GM chipset (Viiv technology). 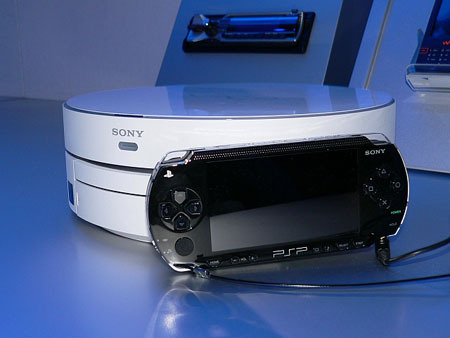 It has 2 Gigs of DDR-RAM, 300 GB hard drive and a Intel GMA 950 chipset for handling the graphics. 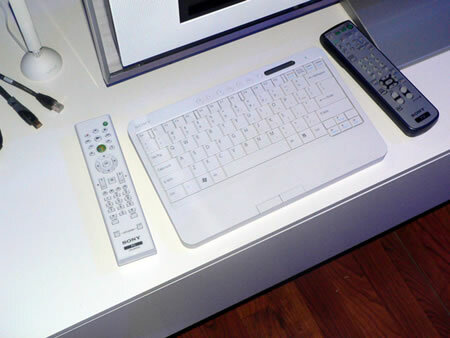 The unit comes with a matching wireless keyboard which is surprisingly not Bluetooth and also included is a remote control. 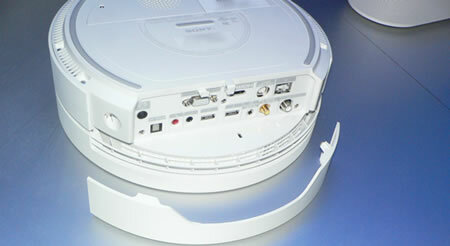 The I/O port panel is concealed by a magnetic cover open it and a host of connections like HDMI, RGB, Ethernet, AV input, USB etc are unveiled. 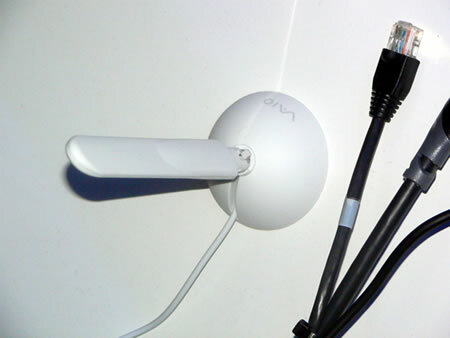 It does not have Wi-Fi built in but you get an attractive Wi-Fi antenna supporting IEEE 802.11b/g. The Vaio TP1 has a built in analog TV tuner allowing you to record your favourite shows and later burn them using the Super drive, maybe Sony will add a Blu-Ray burner later. The system runs on Windows Vista Home Premium edition. 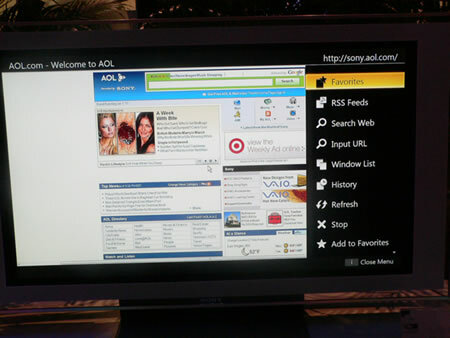 The Sony Vaio TP1 Media Center PC goes on sale in the US by March with a price tag of $ 1600. Keybaord with built in trackpad along with the remote control. Front I/O connections include SD card / Memory Stick slot, 2 x USB 2.0, 2 x IEEE 1394, WLAN switch and keyboard connected switch.